"I am very thankful that my friend suggested I see Cantini Law Group after my motorcycle accident. Never were my calls unanswered. Joe, along with all of the other staff, made sure my questions and concerns were dealt with properly. They we’re very friendly, and always treated me with respect and dignity while I was recovering from my injuries. 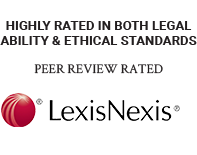 I would recommend this law firm to anyone who is seeking legal representation after an accident." 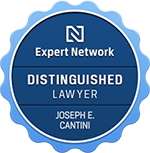 "I knew a previous lawyer who spoke very highly of Joseph Cantini and in general everyone I asked spoke highly of Cantini Law Group. Before I had a lawyer I felt frustrated and hopeless. It seemed as though my credibility wasn’t worth anything but Cantini Law Group made me feel like my credibility was worth something again, gave me back the hope that it was going to be okay. I could not have asked for better representation or for a better result." "Very happy with the results. Pretty much everyone I talked to insisted that Mr. Cantini was “the best”, even at doctors offices and even when I had to attend the other lawyers office they said he was very good at what he does. I would describe the service as the best." "I felt lost, very lost didn’t know what to do or where to go with it. I had talked to a friend of mine that had Cantini represent him and he was very happy with the service. The service was positive for sure, I would highly recommend Cantini Law Group." "Cantini Law Group has a great reputation and they’re really professional. Dealing with the insurance company was a nightmare and I couldn’t have managed alone. I would definitely use Joe again and have already recommended the firm to several people." "Choosing Cantini Law Group was the best decision I ever made. They were prompt to respond and totally upfront and honest about the process and what they expected the outcome to be. This firm knows its stuff and are there to work for you." "Cantini Law Group was recommended to me by a friend, and as soon as I came in and met with a lawyer, I knew it would be ok. I always felt like I knew where I was and what was going on with my case. They were great at keeping me informed and up to date. My settlement was fantastic, and now that it’s all over… I’m over the moon!" We’ve helped thousands of injured people since 1987. DO I HAVE A CLAIM? Find Out in 4. Easy Steps.